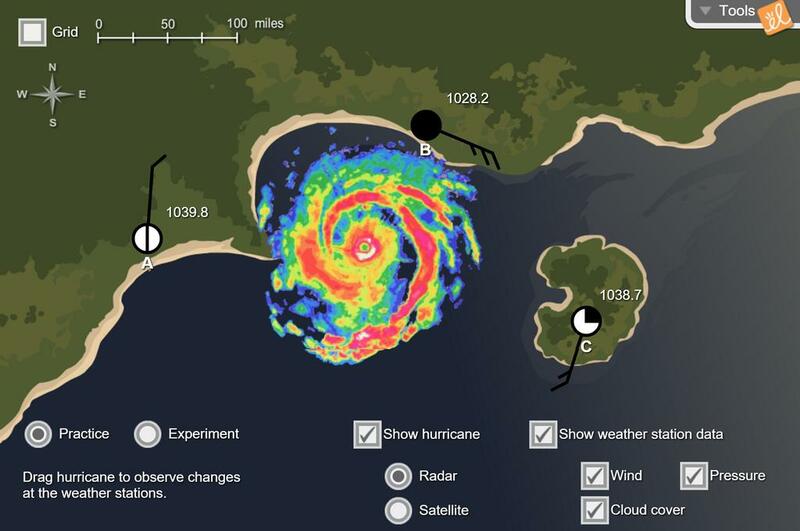 Use data from up to three weather stations to predict the motion of a hurricane. The wind speed, wind direction, cloud cover and air pressure are provided for each station using standard weather symbols. Very useful to learn how they move and are forecasted. the students can predict the weather with this visual tools. A great visual tool to illustrate the complexity of tracking hurricanes; also a great review of weather maps! Excellent thought-provoking activity! Gives opportunity for review or introduction of meteorological terms and predictions of weather.